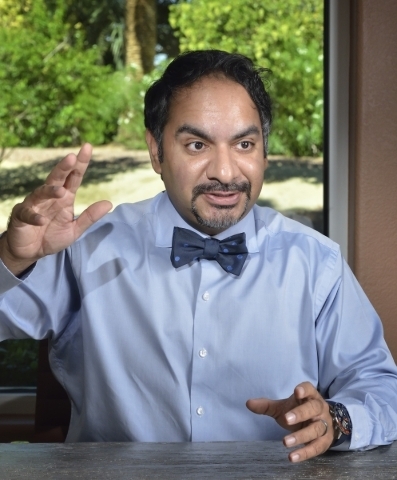 From an office off Rampart Boulevard, Dr. Samir Qamar is building what could become a paradigm shift in American health care. 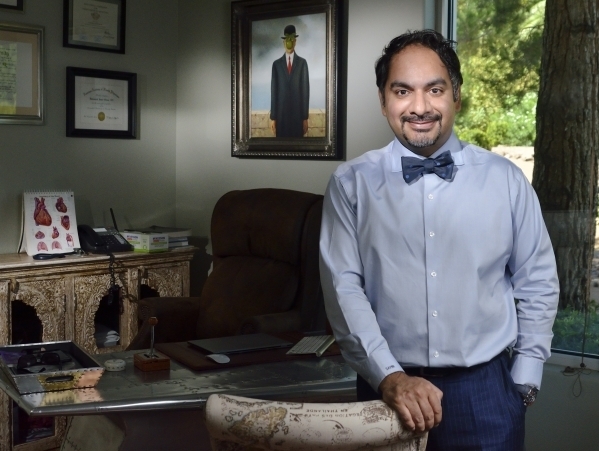 Qamar gave up being a concierge doctor to the rich and famous in Monterey, Calif., to become the driving force behind MedLion, the nation’s largest direct primary care company. The idea is straightforward — a patient has a family practice doctor on retainer. It’s a direct transaction without any insurance involvement — no claims — no pre-approval needed. Think concierge doctor for the masses. “You can come in as many times as you want for all your routine medical care needs. It’s nothing new. It’s just taking it back to the way it used to be before insurance did everything,” explained Qamar, CEO and founder of MedLion, the country’s largest direct primary care company. MedLion is available to individuals, families and businesses. MedLion DPC paired with an appropriate insurance plan can save employers up to 50 percent of their employee health care costs and still be in compliance with the Affordable Care Act mandates while offering better patient care which translates into healthier employees, said Qamar. Fourth-generation Las Vegas landscape business owner Chris Jaramillo backs up Qamar’s claims. Since signing with MedLion on Jan. 1 Jaramillo has experienced a significant drop in the company’s health care expenses and his 200 employees have been pleased with the health care they have received. Chris Robison, a Las Vegas-based health benefits broker with Epix Solutions, also validates the huge savings. “In working with MedLion, we are able to provide plans that cut the cost of medical insurance for employers by up to 50 percent,” said Robison. Locally, there are four MedLion doctors in Boulder City and eight in Las Vegas with 20 more on a waiting list. Currently the number of DPC physicians practicing nationally range from 4,000 to 10,000 because of the inclusion of traditional concierge physicians in some surveys. An international upbringing may have organically led Qamar to choose family medicine as his specialty. Qamar was born in Beirut, Lebanon, while his father, Indian-born Kalim, attended the American University there. His mother is Pakistani. Qamar was 3 months old when the family immigrated to the United States. His father continued his education and earned a doctorate in agriculture from Cornell University. Qamar’s father became an American diplomat with the Food and Agriculture Organization of the United Nations (FAO), the agency that leads international efforts to defeat hunger by providing help to countries to modernize and improve agriculture, forestry and fisheries. The Qamar family lived in eight countries during Qamar’s youth and maintained a permanent home in Maryland. Upon graduating from medical school and completing his medical specialty training in family medicine at Lancaster General Hospital, Qamar opened the first concierge medical practice in Monterey, Calif. During this time, he also served as the official house doctor for the Pebble Beach resorts and indulged his love of motor sport racing by volunteering as the assistant medical director of the Mazda Raceway, Laguna Seca. He had what he now calls “a golden shingle” practice. His concierge practice allowed him the luxury of spending time with each of his prominent patients. “I could have stayed there for the rest of my life — retired — paid off my loans and had a very plush life,” Qamar said. Qamar designed the DPC membership model for those with little or no health insurance. “I interview every single physician myself to make sure they have the same demeanor I’m looking for to take care of these patients,” said Qamar. All doctors are either board-certified or board-eligible in family or internal medicine. “At MedLion practices, you pay $85 per month for adults and $49 for children,” Qamar said. The MedLion doctors are independent contractors who retain $50 to $60 of the monthly fee and realize overhead savings due to the lack of insurance-claim processing. For its portion of the monthly fee, MedLion offers physicians membership services which may include legal and referral support, billing and collections, marketing, advertising, customer service and business guidance. “The average overhead for a doctor who takes only insurance for all of its primary care averages around 50 percent,” said Qamar. MedLion doctors are able to see fewer patients and spend up to one hour with each patient with a newly diagnosed condition because of the increased reimbursement over traditional insurance-based capitation payments which average $15 per patient for a primary care visit, said Qamar. So what about prescriptions, X-rays, testing and specialist visits? “We (MedLion) become their medical quarterbacks. Even though our scope of practice is limited to primary care, we will do everything we can for them to negotiate surgeries and lower medication costs for them,” said Qamar. Contracted doctors are limited to 1,000 patients and patients must be seen by the doctor either the same day or the next. Approximately 30 percent of MedLion patient visits are by telemedicine which enables the sick patient to speak with the doctor by phone, texts or emails instead of having to come into the doctor’s office. — “You’ll have a separation of primary care from insurance — downstream — not overnight.